How do you not love your mother? How do you not smile when you think about how much she loves you? How do you not tear up with the memory of her holding you close, kissing your tears away? As Mothers Day's arrives, I'm hopeful the Post Office delivers the cards to my mother and my grandmother, both of whom were and are the best mothers a guitar player could ever have. Before the guitar came into my life, it was the Beatles. I can't begin to describe what their music did to my brain but I can tell you, somehow a little boy living in Montreal with his mom, (that's me of course), convinced that mom to buy a Beatles 45 record and a Beatles wig. Yes it's true. Holding my mother's hand so tightly, her circulation must have been cut off, wondering why everyone was looking at me and smiling. My mother, radiant as always and me, in my Beatles wig, awkward and embarrassed, wondering why everyone would look at me. We were all Beatles then, weren't we? I didn't know much about what being funny meant then and sometimes even today, I'm not sure, but I remember my mother cleaning our apartment in Montreal and holding a mop, smiling and asking, where the Beatles got their hair styles? You know, that mop thing is still kind of funny. She Loves You, Ya, Ya, Ya was my life. I was forever a devoted Beatles fan . And then my loving mother got me a guitar. And then I heard another song on the radio called Satisfaction. It shattered me and the Rolling Stones held me hostage. Or more accurately, they held my mother hostage because I must have played the same section from Satisfaction a million times or more. I could only play a few notes on a single string. But that didn't matter, I was playing alongside the Stones. 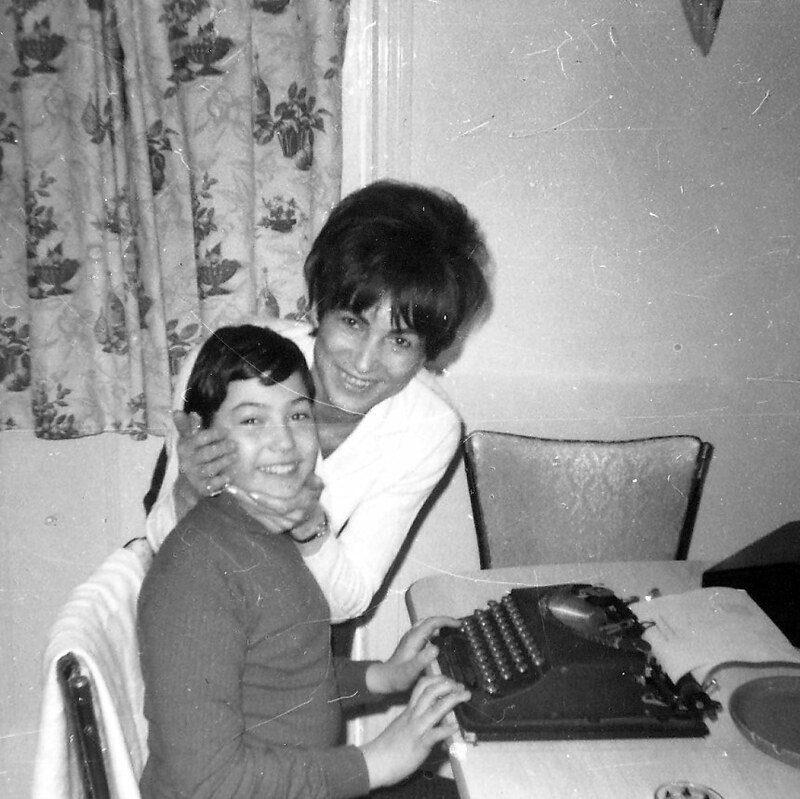 It was not pretty but my mother held me close, whenever I would let her and she seemed so happy her little boy had found himself in music. What else does a boy need to love his mother forever? I'm still a huge Beatles fan but have misplaced the wig. 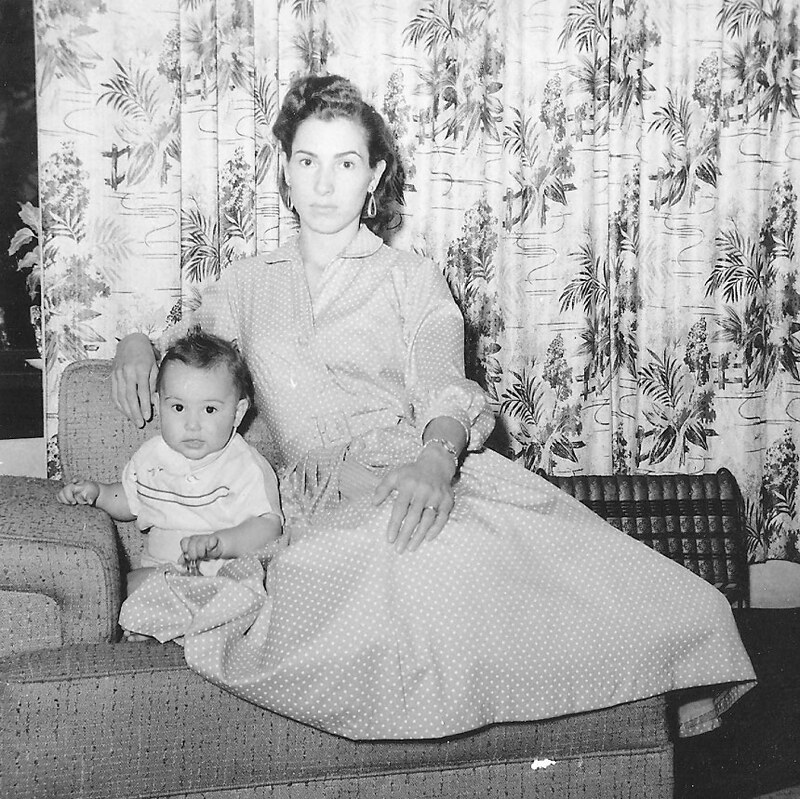 My mother and I, who had the toughest of times together and apart - survived and are best friends. How else would you describe a woman who held your hand, singing 'She Loves You' ? Sometimes while performing, I think about being that awkward kid in Montreal, wearing the Beatles wig and then I think about my mother, wanting to hold my hand and making everything right in the world..Ive been lucky, Mother's Day reminds me of that. And it reminds me how smart my mother was not caving into my plea for a drum set. Our apartment was small and my obsession to bring rock and roll into our lives would surely have put us in the street had drums been allowed to join our family.